Harriet, age 25: stable career and ready to buy first home. Sally, age 21: about to graduate from university and start career. I know the plan was written a long time ago when the girls were very young. The ink has faded and my handwriting isn’t very legible, but I’m certain that’s what it says. Surely I’d remember if there was anything in there about Harriet taking time out to have a quarter life crisis, or Sally dropping out of education at the age of 17 and experiencing debilitating mental illness. They’re not the sort of things you’d put in a Life Plan for your children then forget about. Clearly something went wrong. But what? More importantly, how should we update the plan to make it appropriate for modern life? Want to read it in other formats…? Mother of Millennials is now available on the Kindle store. Kathryn Mortimer has been married to David for 30 years and is mother of Harriet and Sally, both in their twenties. Born in Liverpool, she moved to the South West of England at the age of 18 where she has remained ever since. She has a degree in Mechanical Engineering from the University of Bath, and a long career in Information Technology. Drifting towards retirement in a steady 9 to 5 job, life was routine and predictable. But on Christmas Day 2017 that changed. After conversations with her daughters about their own employment choices, she made the completely unexpected decision to write a book. This started her fascinating journey into the world of publishing, and the strange, exciting world of the millennial generation. Harriet was born in Bristol where she attended Colston’s Collegiate, then graduated from Royal Holloway University with a degree in Psychology. She worked in fund raising before abandoning corporate life to set up her own business. She is widely travelled, and is now a self-employed badminton coach and artist. Sally was born in Bristol where she attended Colston’s Collegiate before dropping out of school with mental illness. Five years on, she is slowly winning the battle against debilitating anxiety and depression. After various part time jobs in shops, a dog groomers and doggie day care, she is now hoping to launch a career as an artist and author. Sally loves dogs, elephants and Old School Runescape. Read this article about Mother of Millennials in The Bristol Magazine here. An interesting and informative read. This book was a refreshing read. As the mother of a millennial I found it reassuring to know that somebody else has struggled with some of the same issues. Kathryn Mortimer and her daughters have been really honest. Our children face a lot of challenges that our generation didn't. I am so glad that I read this book. It has made some things in my life make more sense. Certainly a very different read. Reflecting on life as a mother to teenagers/twenties today. Definitely an eye opener. This book was a refreshing read. As the mother of a millennial I found it reassuring to know that somebody else has struggled with some of the same issues. Kathryn Mortimer and her daughters have been really honest. Our children face a lot of challenges that our generation didn't. I am so glad that I read this book. It has made some things in my life make more sense. As a millennial who has never lived up to my parents expectations or followed through with the traditional route of life (I returned to uni at 25 and remain sans kids!) I could really relate to many of the subjects in this book. It provided a fantastic understanding and insight into the values and prejudices (and there are lots for mine!) of my parents generation. As a millennial I can be labelled or perceived by people that don’t know me as lazy, entitled, narcissistic, the list goes on, so it was great that the author pointed out how unfair these labels are, and highlighted the many areas where society has become kinder, fairer, and more inclusive under the influence of my generation! !If you’ve got a millennial, or even interact with them, you should read this book! Knowledge is power. This is a fantastic book which I thoroughly recommend to any parents or to anyone who wants to understand the millennial generation. The concept of the millennial daughters also contributing to the book was a great addition and served to add balance & integrity to the author’s views. Very inspiring look into the world of millennial children and the difference of our own upbringing. As a parent of 2 children now in their early 20's there are many areas of the book , serious and light hearted , that I can recognise and relate to. This book highlights the need for change to what we have always seen as the 'normal ' but often unrealistic expectations not just for our Millenial children but for ourselves as well. 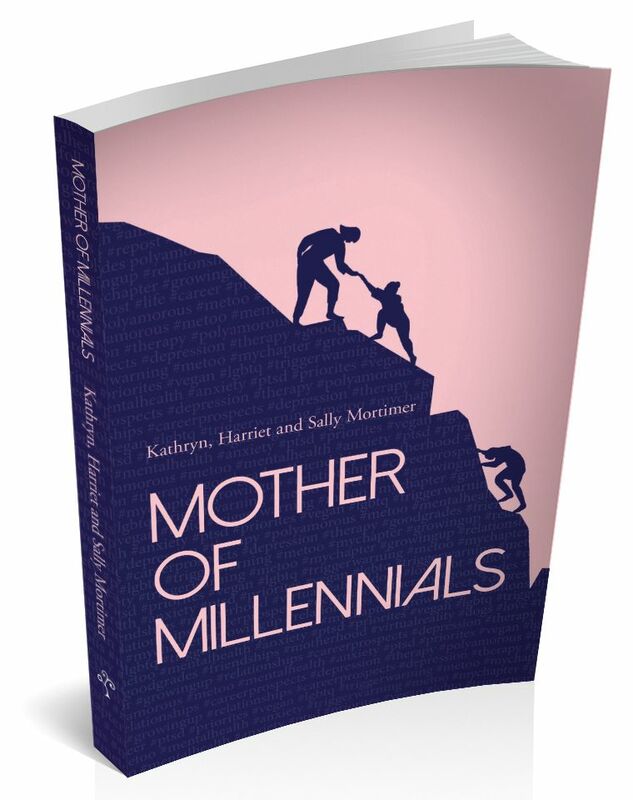 Read the Advance Information for Mother of Millennials here.